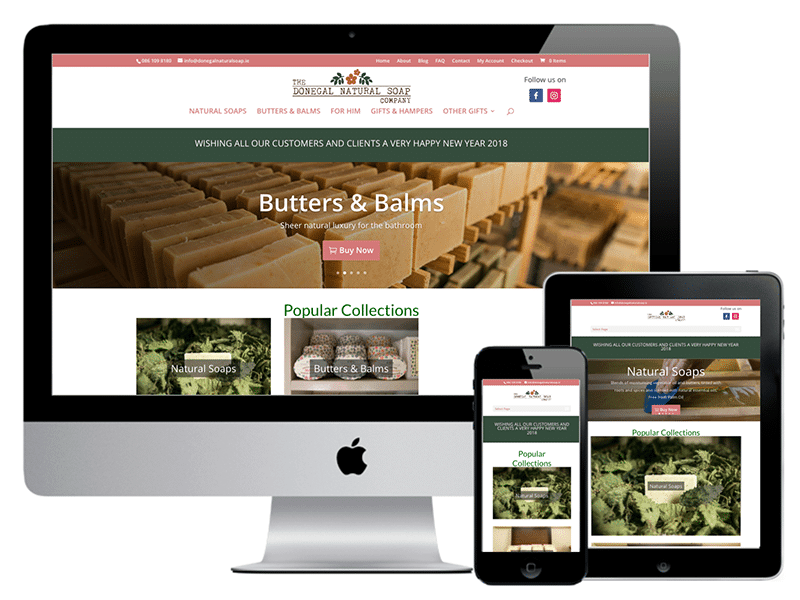 Isobel at Donegal Natural Soap wanted a new well designed eCommerce website that showcased their homemade soaps, balms accessories and other gift lines. Also to improve the customer interface and to improve communications with for clients and potential clients, 24/7. We recommended a suitable design theme to improve the customer interface and WooCommerce for the eCommerce website, to improve upon the customer journey in the existing website. The wonderful product photography was done by 360 Crew in Donegal Town. Adding a small budget for Digital Marketing the company was guaranteed to improve their rankings and look more professional, as well as getting found for their wonderful natural soaps. This eCommerce website got a real baptism of fire, with orders coming in from Day 1, but it stood up to the tests and already ranks well. The design and the product photography have worked so well and this site has a lot of admirers.